Cannabis extracts are becoming extremely popular. BHO is a type of cannabis extract made using butane. BHO products go by many names, such as wax, shatter, honey, honeycomb, pull-and-snap, whip, budder, and so on. They can vary in texture and appearance, from viscous liquid to crumbly wax to hard, glass-like shards. All of them are extracted forms of the cannabis plant made using butane as a solvent. The result is a clean, concentrated cannabis product that is more potent and flavorful than other consumption methods. These characteristics have led BHO to be one of the most popular products on the cannabis market today. The process of making butane hash oil, or BHO, involves extracting the cannabinoids and terpenes from the cannabis plant. Butane, which is a nonpolar chemical solvent, washes over the plant material and dissolves the plant’s compounds. Other hydrocarbon solvents, like hexane or propane, can also be used. That solution is then purged of any remaining solvent, and a pure cannabis extract is left behind. In the method used by DIY home producers — an “open-loop system” — the solvent is sprayed through one end of a tube that has been stuffed with cannabis, and passes through filters attached to the other end of the tube. This method is extremely dangerous because butane solvents are highly flammable, and home set-ups may not follow proper safety protocols. Open system BHO also does not have a safe and clean process of purging remaining contaminants from the oil. 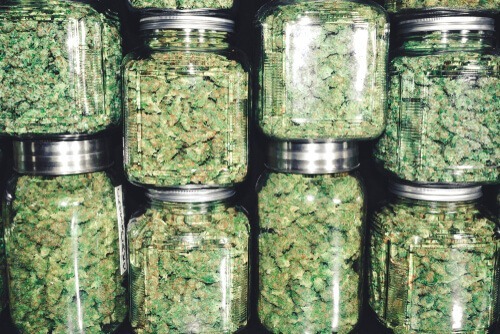 Nicholas Tennant, founder of Michigan-based Precision Extraction Solutions, says the cannabis industry is growing out of this open system method. The “closed-loop system” used commercially, on the other hand, is very safe, says Tennant, whose company provides equipment, set-up, training and resources to commercial BHO labs. A closed system utilizes two vessels on either side of a column of cannabis. Sealed and pressurized, the solvent travels from one vessel through the cannabis and into the second vessel, before being pushed back into the first vessel. The butane is evaporated from the cannabis solution, which is then vacuum-purged of any remaining solvents. To ensure quality, producers typically rely on 99.5 percent instrument grade n-Butane. They also want to use fresh cannabis, explains Tennant. “Once the cannabis is harvested — the more it sits, the more it oxidizes, the more it’s subjected to heat — it’s cooking off the smells and flavors and contributing negatively to what the product will become,” he says. Terpenes have a different boiling point than cannabinoids, and can evaporate at moderate temperatures. A desire to keep these compounds stable has led to a “fresh-frozen” trend, in which cannabis buds are frozen immediately after harvesting to preserve all of the plant’s properties. Products made using this method are known as live resin. Extract professionals use different techniques to fine-tune the finished product. Terpene isolation, for instance, can be used to shape the BHO’s flavor using special extraction methods that preserve the plant’s natural terpenes. “The science behind it allows you to make products that are superior and vastly varied rather than just subject to how that plant was grown,” says Tennant. How is BHO Used and Why is it So Popular? Cannabis concentrates are nothing new. Hash became popular throughout the Far East centuries ago, and eventually spread across the world. But modern-day concentrates got a kick-start in the 1990s, when California’s medical marijuana laws ushered in new experimentation. Extracts as we know them today are thought to have appeared on the scene around the new millennium. However, they remained elusive to the average user because there was no easy way to smoke them. Their big breakthrough came about a decade ago, when some inventive stoners devised a small gadget that made smoking BHOs accessible: a glass and titanium nail positioned in a bong’s stem, also known as a dab rig. Suddenly, cannabis entered the era of dabbing. To dab, a small amount of the concentrate is heated up on a hot surface, like the nail in a dab rig. The user then inhales as the concentrate burns, or more accurately, vaporizes. “In its best form [BHO] is consumed by vaporizing incredibly flavorful dabs of oil,” says Daniel “Big D” de Sailles, partner at Top Shelf Extracts in Denver, Colorado. “[This] is done with the aid of custom-blown glass, torches, and other accessories. It is easier to regulate your dosage with BHO, but those who dab frequently build up strong tolerances,” he says. The extreme potency of extracts (along with images of people lighting up with blowtorches) has earned BHO a reputation as “the fringe of the ‘stoner’ demographic,” says de Sailles. But while cannabis extracts are often referred to collectively as “dabs,” this can be a misnomer. BHO products can be used in a variety of ways, not just by dabbing. 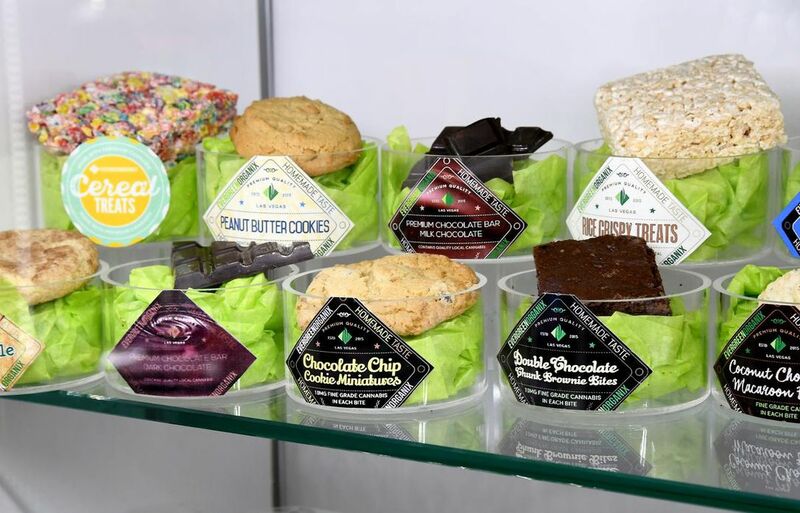 “The truth is that it’s used in most edibles, topicals and vape cartridges, which are the products most popular with the emerging recreational markets,” says de Sailles. Tennant says extreme dabbers aren’t representative of the norm. “You’ll always have people who consume to excess, whether it’s with alcohol or any product,” he says. Tennant says extracts began to outpace other cannabis sales around five years ago. He predicts that they may soon make up 60 percent of cannabis products available in legal markets. Chris Conrad, author of The Newbie’s Guide to Cannabis and the Industry, says there’s a limit to how popular extracts will become because of their potency. “Solvent extracts are in high demand with manufacturers and in dispensaries and they are here to stay,” he says. What Types of BHO Exist? Various finishing techniques are used to give BHO different textures and appearances, ranging from hard and glass-like to dry and crumbly. Temperature, moisture and whipping can all be used to transform translucent, liquid hash oil into these different forms. This is an effect of agitating the THCA — the non-psychoactive cannabinoid found in raw cannabis — in the extract, which causes it to crystalize and solidify. The terpene content also determines a product’s consistency. The higher the terpene content, the runnier the extract will be. Oil — A viscous, translucent liquid. Wax — A product with a moldable, ear-wax consistency that’s easy to use but does not last as long as shatter. Shatter — A hard and transparent extract that looks like honey-colored glass. It’s more stable than wax and the effects last longer. Sap — A product similar to shatter, but thick and stretchy. Crumble — A dry and crumbly type of extract. Budder — Whipped BHO that lands between wax and crumble in consistency. It’s often described as having a peanut butter-like texture. Live resin — A product made from whole, live cannabis flowers that are fresh-frozen, giving it better flavor and aroma retention. Pull-and-Snap — Extracts with a taffy-like quality that can snap if bent. Honeycomb — Just like it sounds, this extract has the appearance of honeycomb. BHO products have a THC content that ranges from 50-90%, but is usually around 80%. This makes them one of the strongest products on the legal market. In comparison, marijuana flowers typically contain 10-30% THC. For medical patients with chronic pain and intractable conditions, BHO’s super-high potency makes it a great way to receive a lot of medicine quickly and easily. Popular concentrate brands include NectarBee, in Colorado, which offers products like Pure Wax, Pure Shatter, and Pure Live Batter, and Crown Genetics, with a product line that includes Banana Bread Nug Run Shatter and Bubba Walker Live Resin Shatter. Prices for BHO vary depending on the brand, product, potency and location of sale. While typically more expensive than cannabis flowers, BHOs are much stronger and a little bit can go a long way. “Solvent extracts… are much more intense than other inhaled forms, so one inhalation might equate to smoking an entire joint [in] one breath,” says Conrad. Because BHO products are extremely potent, users should be very careful about dosing in order to avoid uncomfortable or overwhelming highs. “Always sit down before you ‘dab’ cannabis solvent extracts, so you don’t fall and get hurt, and you also might need to lie down for a while if it becomes too intense,” says Conrad. 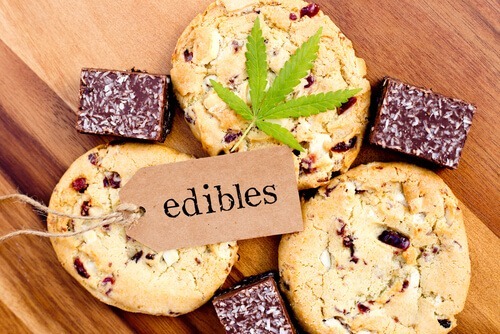 De Sailles, with Top Shelf Extracts, offers the following dosing instructions: 50-100mg THC per dose for edibles (with 100mg being on the strong side); 25-100mg THC per dose for dabs, depending on tolerance and experience; and for vaping, simply take a puff as needed. Homemade BHO products are both riskier to consume and much more dangerous to make. The biggest health risk in using BHOs is the potential for ingesting contaminants like residual pesticides that may have been concentrated along with the cannabis compounds. Homemade operations may also have used plastic pipes and buckets, poor quality butane, and imperfect purging methods—all of which can taint the quality of the product. Open loop systems used in homemade BHO operations have resulted in explosions, deaths, and severe burns and injuries. “This is not a business meant to be home-based at all, ever,” says Tennant. The rise of commercial BHO products over the last decade has provided an ample supply of clean, reliable and safe extracts. Closed-loop systems use a vacuum to purge the oils to remove all impurities and also trap and reuse most of the solvents, which is more eco-friendly and much safer. Tennant says that BHOs are sometimes misunderstood as unsafe because they are made with chemical solvents. But commercial production uses pure, instrument-grade solvents and then purges all remaining solvents from the end product. “There’s nothing left in the product when it’s done — it’s a completely clean product, manufactured with a superior commercial method,” he says. You should also buy lab-tested BHO from dispensaries in order to know that it was made properly and is safe to use. With lab-tested products, “you’re going to know what percentage purity it is and that it’s been tested for pesticides and for the exact terpene content,” explains Tennant.